The average score of the managers in GW18 was 57 taking into account point deductions for extra transfers. That’s compared to the game average of 55. That’s 2 points and 4% above the game average score. High score of the 10 was 83. The low score was 33. 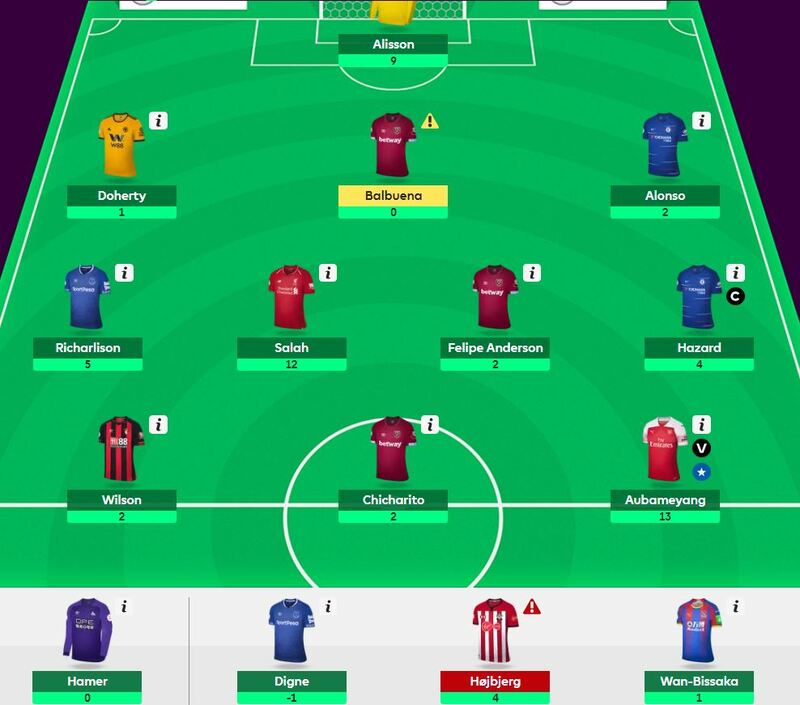 A incredibly high spread of 50 for a relatively high scoring gameweek. The average overall rank of the top 10 FPL managers is 42k an improvement of rank from last week 44k. The best overall rank is now in the top 50 and the lowest 103k. The top 10k captain choice (from the excellent free site FPL discovery) was 44% Sterling and 20% Hazard, 15% Sane and 8% Aubameyang. The FFGeek poll this time was not consistent at all. 7 of the 10 managers made a transfer. 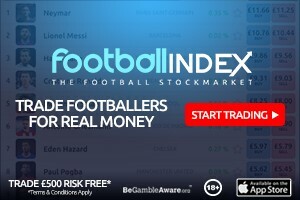 The top 10k average score was 53 compared to the 10 top managers average of 57. So that’s 5 essentials and 1 maybe. This leaves room for 9 differentials/bench two pointers. The template is really being split at the moment. Here’s the 4th top scoring manager who currently has an OR of 24k. His team value is £103.7m. A disappointing score of 52 this week. He owns 4 of the essential 5 and the 2nd tier “essential” of Wan Bissaka. Alot of the players though are fairly popular players (and you’ll see a number are in the combined team) even though they don’t meet my template definition. 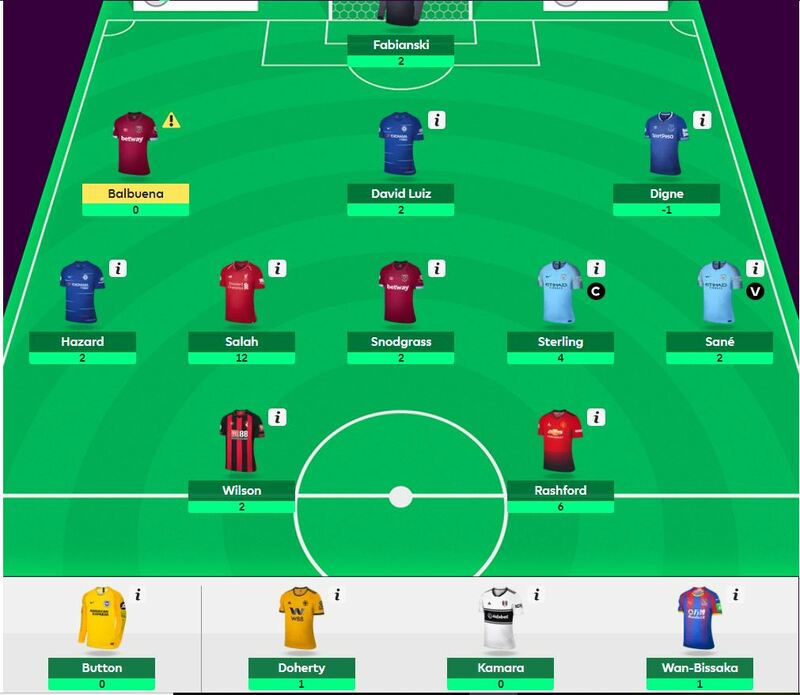 Only 2 of his non template players out of 7 returned and his captain failed which is why he ended up with a red arrow, albeit only a 4k red arrow. 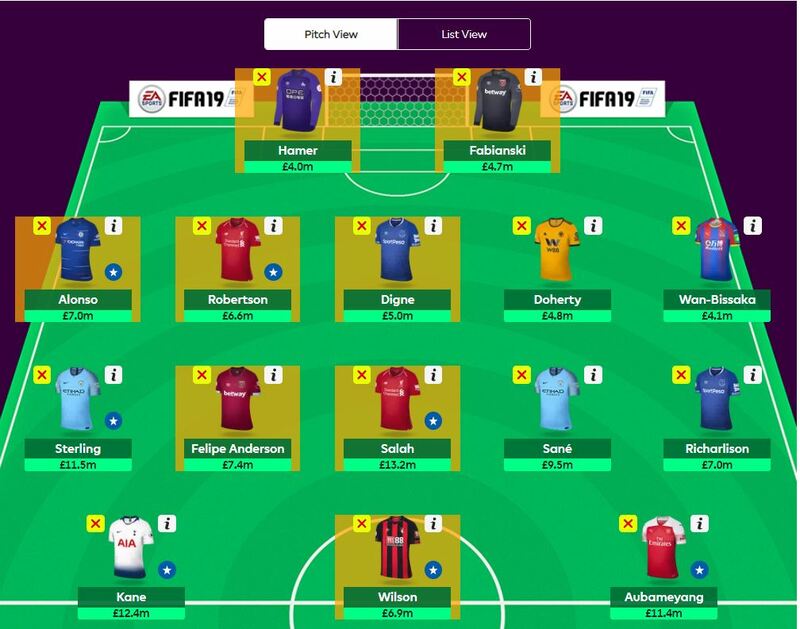 Could the fantasy premier league become an eSport? Wilson to Rasford all day. I’d do exactly that myself but I’m 0.1 short :/ Form and fixtures favour Rashford IMO.